We carry a collection of hammocks from Pawleys Island, South Carolina, a town uniquely identified by the hammock featured on its welcome signs. Pawleys Island is the home of the Original Pawleys Island brand of hammocks, and the town is to the hammock what Hershey, PA is to the chocolate bar. 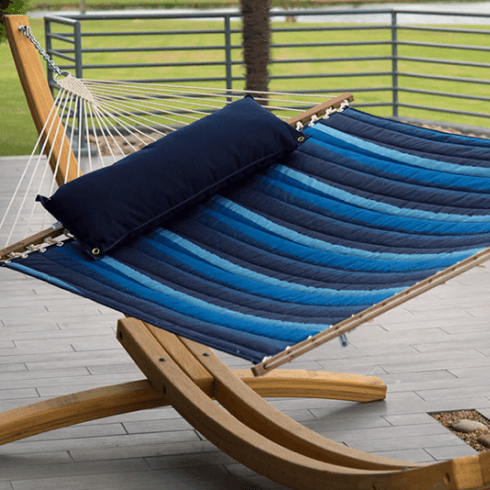 This brand set the standard for highly-crafted hammocks, and Cline Pools strives to bring you on the best in outdoor relaxation! 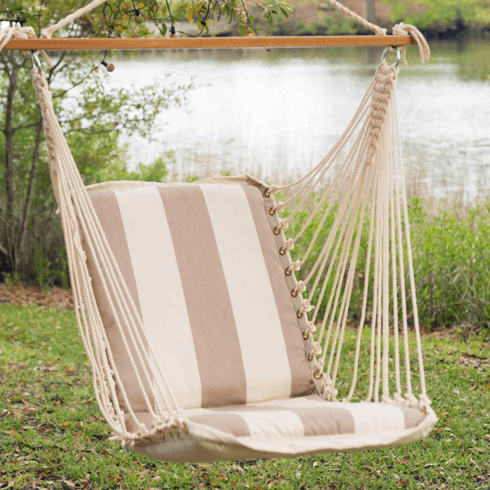 What makes Pawleys Island hammocks the best? You'll know when you drive into the town of Pawleys Island, South Carolina, and you notice their unique welcome signs. Just below the town's name is a picture of a hammock, signifying their tradition of fine hammocks for the last 125 years. You could say that Pawleys Island is to hammocks what Hershey, PA is to chocolate bars. 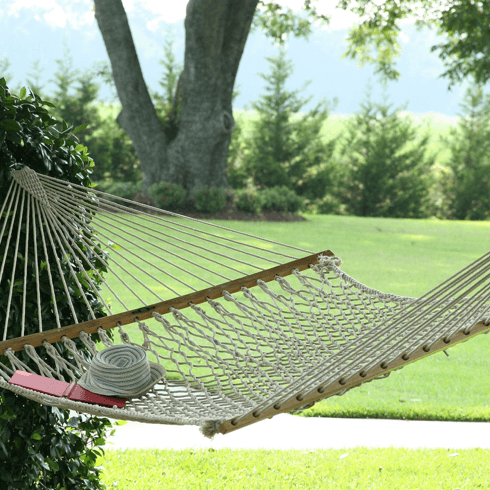 You're going to love these hammocks! Do you have memories as a kid of how carefree life felt when you were swaying in a backyard swing? Swings make us feel as if we could fly, all while safely tethered to Earth. Don't lose that sensation just because you've grown up a little! The Pawleys Island swings that we carry are places to let your feet dangle and dreams fly! 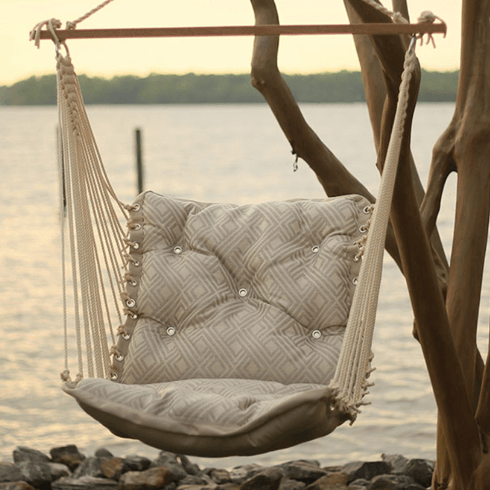 The Hatteras Hammocks lifestyle is all about luxury, relaxation and enjoying the finer things in life. They use exceptional all-weather fabrics, soft-spun colorfast rope, and nonabsorbent South American Cumaru hardwoods. In 1971, Hatteras founder Walter R. Perkins Jr. was becoming obsessed with hammocks. He finally broke down and bought his first hammock for himself – and promptly tore the thing apart, to learn how it was put together. After nearly 40 years, the current Hatteras lineup of hammocks is made up of expertly designed and hand-constructed innovation - all in service of your relaxation! Whether you love a hammock or you're just looking for something different, you should try a hammock swim! Upright, front-to-back, these swings are intensely relaxing!